We protect your investment. You enjoy the journey. If you know what insurance product you are looking for try our Quick Quote feature. Give us a call at 1 800 866 0777 or send us an email. 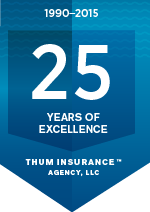 Thum Insurance has been meeting the needs of our customers since 1990. Learn more about us. Thum Insurance Agency has been family owned and operated since 1990. We are one of the nation’s largest specialists of personal and commercial lines insurance products. We offer insurance products to cover recreational vehicles of all styles for both personal use and commercial use. We insure dwellings which are owner-occupied, rental dwellings, vacant dwellings, vacant or seasonal residences (including manufactured homes). Our commercial lines products will cover your entire business operation from a standard Business Owner’s Policy to specialized Cyber Liability coverage. Our customized policies for Mobile Health Units and Mobile Specialty Units and our insurance packages for international clients touring the United States in their RV’s set our agency apart. Be sure to check out all of our Specialty Programs. All of us at Thum Insurance look forward to working with you.